Ronnie O'Sullivan returned to the professional tour with a 5-1 victory over Hamza Akbar in the first round of the German Masters qualifers in Wigan. The five-time world champion had not played a competitive match since losing to Stuart Bingham in the quarter-finals at the Crucible in April. There were no sign of rustiness, with breaks of 61 and 52 in the first frame. He returned from a 3-1 interval lead to seal the win with further breaks of 58 and 51 in the next two frames. O'Sullivan now meets Jamie Cope or Stuart Carrington on Sunday, with the winner to go through to the final stages of the world ranking event in Berlin in February. 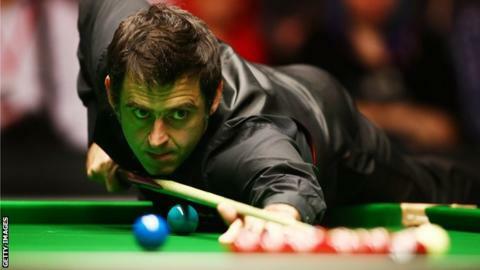 The 40-year-old, nicknamed 'the rocket', has confirmed he will play at the UK Masters at Alexandra Palace, London, in January. Elsewhere at Wigan, Mark Allen enjoyed a 5-2 win over Duane Jones, while Shanghai Masters champion Kyren Wilson beat Jake Nicholson 5-0, including a highest break of 103. Plus UK Championship finalist Liang Wenbo made a 121 in the deciding frame to beat Eden Sharav 5-4.